Winter can be a great time to visit Cornwall and there are some lovely things going on in the run up to Christmas. Here are just a few suggestions. Ice skating at Eden Project. The Eden Project is just a short drive from Fowey, and if you haven’t been before, it is a brilliant day out. The ice skating rink at Eden will be open until 22 February 2015. Sessions start on the hour throughout the day, and last 40 minutes. We recommend booking in advance. For further details check out the Eden Project website. If you are looking to travel a little further afield, Trereife Christmas Gift Fair takes place in the grounds of Trereife Park near Newlyn. Visitors will have the chance to browse a range of unique art and crafts, and a selection of local producers will be on hand selling an array of food and drink products for the festive season. There will also be local history talks, craft workshops and live music to enjoy throughout the weekend. At weekends from 29 November to 11 January, Winter Wonderland will be open at Retallack Resort & Spa, near Wadebridge. Ice skate to your favourite festive tunes, enjoy a spot of shopping and have a bite to eat while soaking up the Christmas spirit. Padstow’s traditional Christmas market located on the harbour. Now in its seventh year, Padstow Christmas Festival is one of the UK’s largest free food festivals. Chefs from across the country, including our head chef Ben Bass, will be heading to the town to give demos in one of the two demonstration theatres, and there will be 100 local producers selling an array of gifts during the four day festival. Other festive entertainment includes fireworks, a Santa fun run, carol concerts and a lantern parade. This year will be the 10th Fowey Christmas Market. Traders from across the south west will have their wares on display at the market. There will be live music to enjoy throughout the weekend. 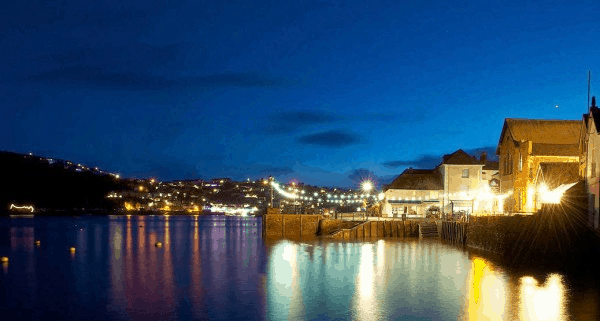 Celebrations will start on the Friday evening with a BBQ on the riverfront at Berrils Yard and a lantern procession through the streets of Fowey. This six day Victorian market takes place on Lemon Quay, in the centre of Truro. This year there will be over 65 stalls to browse, with two distinct zones for arts, crafts and gifts, and food. It will offer a perfect opportunity to buy some unique Christmas presents. For further information, please visit Truro Christmas Markets website.